Happy New Year! Cheers to a great 2018! The post Happy New Year! Cheers to a great 2018! appeared first on Pere Marquette River Fly Fishing Guide – Outfittersnorth. Read full post: Happy New Year! Cheers to a great 2018! The best week of Fall Steelhead 2018 was this past week!! !- fall steelheading waited until winter to start! Finally !!!!! !- fresh fish!…full moon and a respite thaw from the brutal cold/snow of fall 2018 ( I’ll never forget this hell of a fall! ), …is finally bringing fresh chrome and browns on the hunt! Merry Christmas- pictures tell the story! Read full post: The best week of Fall Steelhead 2018 was this past week!! !- fall steelheading waited until winter to start! Merry Christmas from all of us at BBT!!! Wishing you the best in 2019…Cheers!!!!! 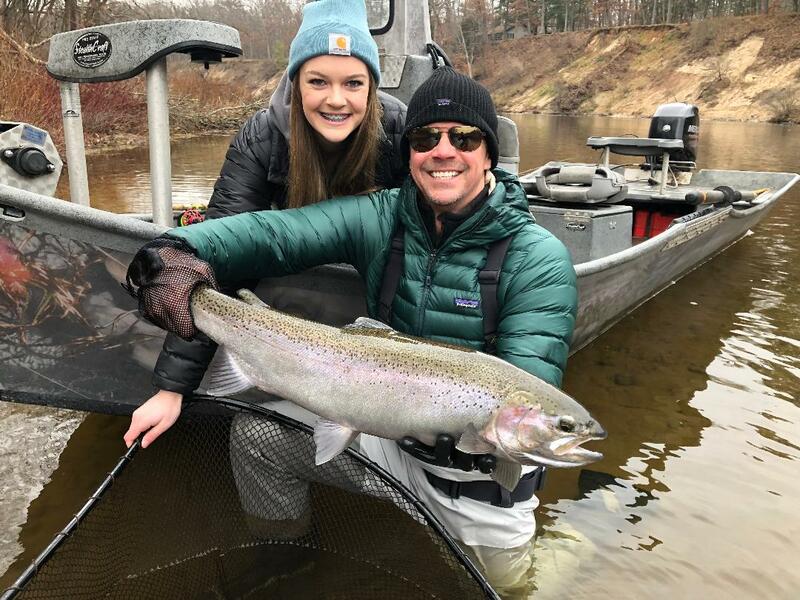 The post December 24, 2018 appeared first on Baldwin Bait & Tackle – Pere Marquette River, Michigan. Read full post: Happy Holidays! I’ve been tying up a few smaller, “sparrow” fly patterns for both winter trout and steelhead. Merry Chrome Christmas & Happy New Year From Fly Fire River Guide Service! Felt great to finally have a chance to break away and do some winter steelhead fishing on the Muskegon landing chrome beauties like this one in late December. Steelhead are poised throughout the river from the lower stretches of Anderson Flats to the upper reaches of Croton Dam. Read full post: Merry Chrome Christmas & Happy New Year From Fly Fire River Guide Service!